The Texas Rangers head to Nationals Park on Sunday, June 11, 2017 to take on the Washington Nationals. The expected starting pitchers are Austin Bibens-Dirkx for the Rangers and Max Scherzer for the Nationals. The odds for this matchup have Texas at +229 and Washington at -250. The Rangers have a 28-31-1 over/under mark and a 33-27-0 run line record. The Nationals are 31-29-0 against the run line and have a 29-28-3 over/under record. The Rangers have a 28-32 overall record this season. Starting pitcher Austin Bibens-Dirkx has a 1-0 record with an earned run average of 4.08 and a WHIP of 1.19. He has 11 strikeouts over his 17.2 innings pitched and he's given up 15 hits. He allows 7.6 hits per 9 innings and he has a FIP of 5.23. The bullpen has an earned run average of 4.76 and they have given up 200 base hits on the year. Teams are hitting .265 against the bullpen and they've struck out 163 hitters and walked 79 batters. As a team, Texas allows 9 hits per nine innings while striking out 6.9 batters per nine innings. They are 16th in the league in team earned run average at 4.27. The Rangers pitchers collectively have given up 533 base hits and 253 earned runs. They have allowed 88 home runs this season, ranking them 3rd in the league. Texas as a pitching staff has walked 210 batters and struck out 410. They have walked 3.5 men per 9 innings while striking out 6.9 per 9. They have a team WHIP of 1.40 and their FIP as a unit is 4.97. As a team Texas is hitting .244, good for 21st in the league. The Rangers hold a .414 team slugging percentage and an on-base percentage of .316, which is good for 22nd in baseball. They rank 23rd in MLB with 8.2 hits per game. Nomar Mazara is hitting .292 with an on-base percentage of .357. He has 62 hits this season in 212 at bats with 39 runs batted in. He has a slugging percentage of .462 and an OPS+ of 116. 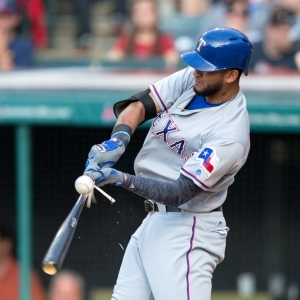 Elvis Andrus is hitting .300 this year and he has an on-base percentage of .343. He has totaled 71 hits and he has driven in 32 men in 237 at bats. His OPS+ is 111 while his slugging percentage is at .460. The Rangers have 491 hits, including 92 doubles and 79 home runs. Texas has walked 192 times so far this season and they have struck out 533 times as a unit. They have left 367 men on base and have a team OPS of .730. They score 4.75 runs per contest and have scored a total of 285 runs this year. Washington has a 38-22 overall mark this year. With an earned run average of 2.35, Max Scherzer has a 7-3 record and a 0.88 WHIP. He has 114 strikeouts over the 84.1 innings he's pitched. He's also given up 54 hits. He allows 5.8 hits per nine innings and his FIP stands at 2.77. The bullpen has an earned run average of 4.78 and they have given up 174 base hits on the year. Teams are hitting .267 against the Nationals bullpen. Their relievers have struck out 157 batters and walked 56 opposing hitters. As a team, Washington allows 8.4 hits per nine innings while striking out 9 batters per nine innings. They are 5th in the league in team earned run average at 3.95. The Nationals pitchers as a team have surrendered 502 base knocks and 236 earned runs this season. They have given up 74 home runs this year, which ranks 16th in Major League Baseball. Washington as a staff has walked 179 hitters and struck out 539 batters. They give up a walk 3 times per 9 innings while they strike out 9 per 9. Their team WHIP is 1.27 while their FIP as a staff is 3.96. As a team, they are batting .274, good for 2nd in the league. The Nationals hold a .467 team slugging percentage and an on-base percentage of .342, which is good for 3rd in baseball. They rank 1st in MLB with 9.6 hits per contest. Daniel Murphy comes into this matchup batting .339 with an OBP of .388. He has 75 hits this year along with 41 RBI in 221 AB's. He maintains a slugging percentage of .557 with an OPS+ of 145. Bryce Harper is hitting .323 this season and he has an OBP of .432. He has collected 63 hits in 195 at bats while driving in 46 runs. He has an OPS+ of 174 and a slugging percentage of .626. The Nationals as a unit have 577 base hits, including 117 doubles and 89 homers. Washington has walked 214 times this year and they have struck out on 466 occasions. They have had 430 men left on base and have an OPS of .809. They have scored 5.48 runs per game and totaled 329 runs this season. 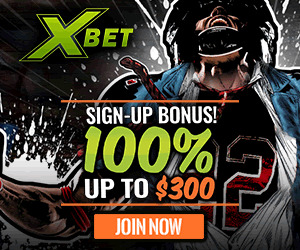 Who will win tonight's Rangers/Nationals MLB game against the spread?